Friday 29th January 2016 marked the first executive lunch of the year with expert discussion on mental health and the law. 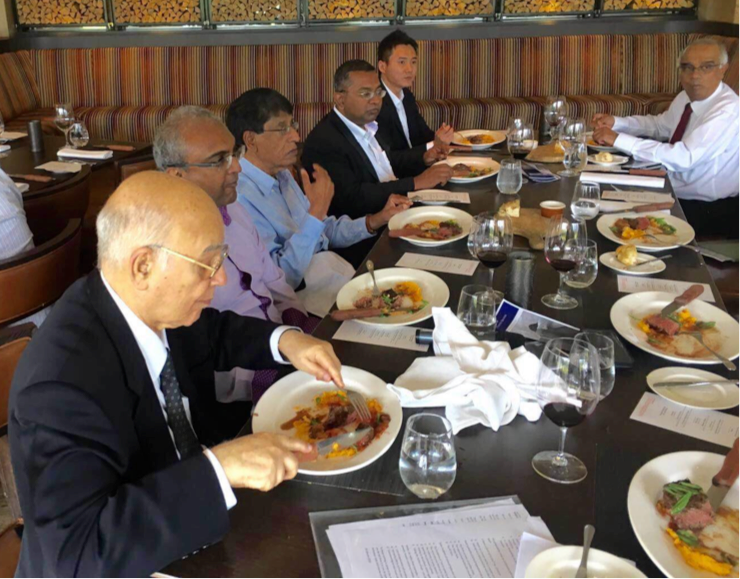 Hosted by Winslow Clinic and Harry Elias Partnership, 20 legal experts joined the Winslow Clinic Forensic Services team for an exclusive lunch hosted at Wooloomooloo Steakhouse. The crowd was treated to insights and perspective on mental health and the legal arena by two of the leading experts in their respective fields; Dr Munidasa Winslow and Mr Harry Elias, who have over 80 years of combined experience. Keep an eye on our events page for more upcoming professional development events for those working in the field of mental health and the law.